Sick of spending your money on the jarred almond butter? Looking for the best blender for nut butter so you can make your own at home? You've come to the right place! Our six best blender picks for nut butters. What makes a good nut butter blender in the first place? Which optional design features are particularly helpful. The differences between the models we've selected. A detailed comparison of all of our picks complete with pros and cons. What's the Best Blender for Nut Butter? Vitamix Professional Series 750 – High end option best all around. 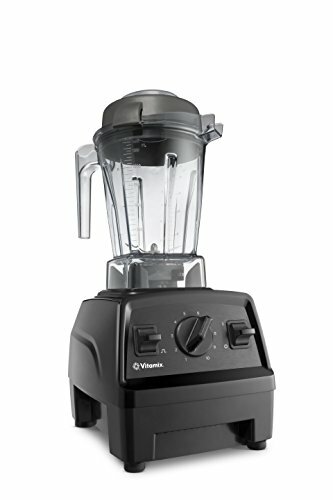 Vitamix Explorian E310 – A great option if you want Vitamix quality, but without the high MSRP of the 750 professional. A new release! Hamilton Beach Professional Quiet Blender – Affordable option that includes a tamper. Breville BBL910XL Boss – Solid machine that also comes with tamper. Blendtec Classic 560 – Get a twister jar to make it even easier. 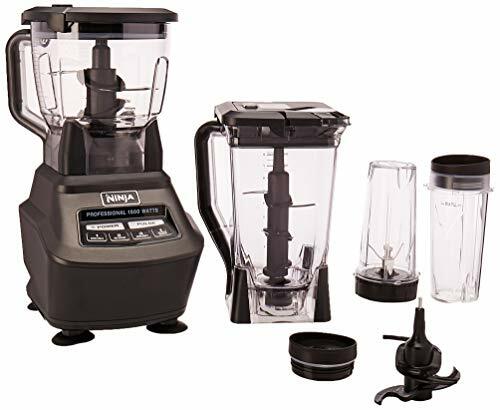 Ninja Mega Kitchen System (BL770) – Cheap & affordable but very effective. Can I Make Nut Butter in a Blender? What Speed Blender is Needed for Nut Butter? Do I Need A Specific Blender Setting? What Makes a Good Nut Butter Blender? What Are The Differences Between These Models? Blender or Food Processor - What's Better? Why Do Nuts Get Stuck to the Side? Can You Make Nut Butter in a Hand Blender? Slowly turn up the speed on the blender from low to high so that all the nuts catch in the blades. Use any optional accessories such as a tamper or Blendtec Twister Jar to make sure the nuts are staying in a vortex and becoming creamy. As you can see in the video above, the Blendtec with Twister Jar is one of the best ways to make nut butter. Even though the jar is smaller, the twisting motion makes it extremely easy to bring the nuts to the blades and quickly turn them into a creamy butter. Here's how the Vitamix makes nut butter. Using the tamper, you constantly push the nuts into the blades until everything is broken down and silken. The tiered blade system of the Ninja makes it super easy to make peanut butter. You don't have to worry about tamping, a separate jar, or anything like that. The multi-level Ninja blades are great at this particular task because it's kind of like a food processor. The Breville Boss works similar to the Vitamix when you make nut butter. Since it has a tamper, you can either keep pushing into the blades or use a little bit of oil. There's no particular speed that we recommend for making nut butter, but a good rule of thumb is that you'll want a blender that has enough horsepower. Generally speaking, above 2-horsepower is enough to do the job. This will put enough power behind the blades to where the blender won't overheat and get stuck. There's no need to have a special setting on your blender to make your almond butters smooth and delicious. But you will want to do it on the highest setting your blender has. Again, be sure to start on LOW and then move up to HIGH gradually otherwise the blades will just shoot up the nuts away from them and not draw them into a vortex. There are a couple of factors that determine whether a blender will be good for nut butters. It’s primarily a question of power – you need a machine that can grind nuts into a smooth paste without getting stuck, overheating, or leaving little chunks of nuts behind. While it’s generally easy for your average blender to make a smoothie, you need an especially powerful one to make nut butters. All the machines that are listed here have above 2-peak horsepower, so you know they’re strong enough to do the job. But that only weeds out the machines that can’t do the job – what characteristics do machines that are good at making nut butters have? Well, ideally, a machine that you’re using to make nut butters will have a wide, flat container with lots of room at the bottom, like a food processor. This way, the nuts are properly exposed to the blades and won’t pile up around the sides of the container. That same container would also ideally have flat sides, so that the butter can be scraped off easily, rather than having to fiddle around with grooves or curved sides that can trap your mixture. Again, all the models listed here have easy-to-access containers to some degree – some of them are undoubtedly better than others, but the overall shape is the same, and they primarily have short and squat containers instead of tall, slim ones. A tamper makes a huge difference when it comes to making nut butters While it is not required, it does make it a lot easier. Blendtec units don't typically come with tampers, but do have enough power and control to get the job done. At Thrive Cuisine, we've used Blendtec's for nut butters before and it does work fine, but having a unit with a tamper such as a Vitamix does make the process go slightly smoother in our opinion. Finally, a blender that’s good at making nut butters has to have good manual control – ideally variable speed control, but at the least a pulse function. If you’ve ever made nut butters, you know that it’s important to be able to control the process entirely so that you can stop at just the right consistency. There’s nothing beneficial about having a machine that takes all the control away from you – so all the models here have a dedicated pulse function, and most have variable speed control too. Each of the five models listed is a different brand. If you have a strong sense of brand loyalty, or you are attracted to the rave review of brands like Vitamix, which are known for their superior build quality, you may already be able to eliminate a few of the options on this list. These brands are also listed according to their tier in the markets place, with the lowest tier options at the beginning and the higher tiered towards the end towards the end. Be sure to check the current prices to see what fits into your budget – although also consider build quality and warranty length, as it may be worthwhile to invest a little more in a long-lasting product than have to replace a faulty model after a few years. The other factors that differentiate these models are potentially less important. Variable speed control is important for creating the perfect nut butter, and only three of the blenders on this list have a dial that allows you to control this specifically. Similarly, some of these blenders come with alternative benefits such as pre-programmed cycles, attractive design, all-in-one capacity, and specially-designed containers. While these are not specific to nut butter creation, they are helpful if you are planning to use your blender for more than this – which you definitely should, considering how versatile these machines can be. Generally speaking, a food processor is always going to be better at making nut butter. The wider containers, bigger blades and overall design just makes the process slightly easier. But keep in mind that there's many things that a food processor can't do that a blender can. If you want to makes smoothies, soups, or sauces then you won't be able to do it in a food processor. Plus, food processors are generally bulky and heavy. A blender serves as a superior all-in-one kitchen appliance over a food processor. That’s why we love the Ninja Mega Kitchen System. You get a food processor and a blender all in one! The main reason why your nuts get stuck to the side of your blender is because you're turning up the speed too quickly. What happens is that the blades will push the nuts off and away to the side instead of dragging them towards the middle. Then, you need to scrape them off of the side and start the cycle again. If using a tamper or Twister Jar, it's not much of an issue, but be sure to start slow and slowly turn up the speed to avoid it. It is possible to make nut butter in a handheld immersion blender, but man is it a pain. The fact is, it requires a lot of elbow grease and will take WAY longer than any of the blenders on this list. You'll also need a contained vessel so that the nuts don't fly everywhere. While many of the top hand held blenders come with one, it's just simply not worth it for this application. Vitamix is known as the “gold standard” of blenders – their superior build quality, performance, durability, and design put them above the competition. 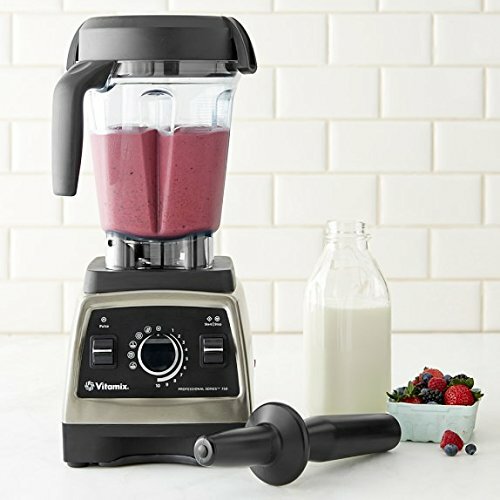 However, with great specs comes may come a great expense depending on your budget, and no more true than with the Vitamix 750; while this machine is undoubtedly the best in this list at creating nut butter, it is also may be difficult to afford, but the manufacturer's warranty could make it worthwhile. With 2.2-peak horsepower, a stainless steel body, five pre-programmed settings, and attractive design, the 750’s cost can be attributed to its reliability and the brand’s great reputation. If you have the money to spend to get the perfect nut butters, the Vitamix is likely to be the best bet for you. For more on this model - you can see our full 750 review here. The Explorian is slightly less powerful the the 750, but it carries a lower MSRP and is perfect for a single individual or people with a small kitchen. If you don't have the budget, you don't need to get a high-end Vitamix for nut butters. It's simply not necessary. Because it's smaller, that means it's easy to store and won't take up as much room on the counter. Ideal if you have an apartment or small kitchen that simply doesn't have the space for a Vitamix. Although the warranty is shorter, The Explorian is a great offering from Vitamix that was released recently to make their blenders more accessible to the general public. 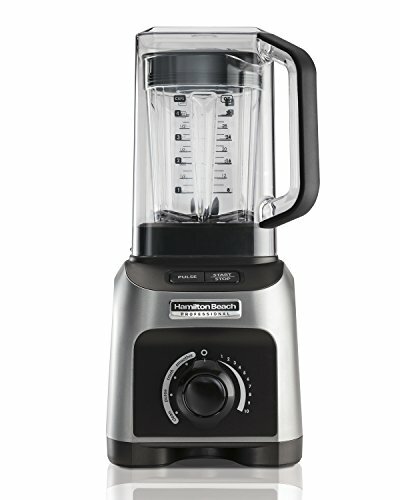 Hamilton Beach 58870 is a newcomer to the blender world, and for the most part their blenders specialize in providing basic blending power at very low prices. However, they’ve made a breakout product with their Professional Quiet Shield Blender, which cracks the 2-peak horsepower mark and can thus make nut butters with no issues. This model comes with a five-year limited warranty, which is better than the Ninja’s warranty but not as good as those offered by Blendtec and Vitamix. However, given that it can often be found at roughly the same price (prices vary so be sure to check) as the Ninja machine, this is quite good. 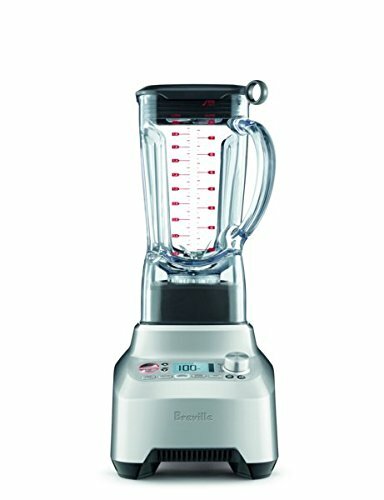 The model also comes with heaps of great features that put it miles above the Ninja: a variable 10-speed dial; four pre-programmed settings, including a self-cleaning cycle; a tamper, to make blending nut butters even easier; and a removable shield that makes it potentially the quietest blender on this list. Its 32-oz container is also dishwasher safe, which is not shared by the other models on this list, so clean-up is even easier. Breville is known for their home appliances, but this rarely extends to high-performing blenders; the market is dominated by Vitamix and Blendtec, admittedly for good reason. This Breville Boss, however, represents a great step forward into the market. With 2-peak horsepower, five pre-programmed settings, a dedicated cleaning function, an LCD display, a timer, and a seven-year limited warranty from the manufacturer, this machine has everything you may be looking for in a blender. It also comes with a variable 12-speed dial, to help you control your blend better, as well as a special ‘mill’ setting for nut butters. It’s truly a machine designed with every type of blend in mind, and has great reviews from its users. However, Breville does not tend to have the brand loyalty of Vitamix or Blendtec, generally because of its lower priced products– although this may not be the case with the Boss, it’s worth keeping in mind. That is not to say that they will not be as popular if not more popular in the next few years as this blender (and others) is becoming more and more popular. Blendtec is known to be a quality brand and a worthy adversary to Vitamix, and almost any Blendtec machine is able to create nut butters. Blendtec tends to be a range with a higher price point (*although prices fluctuate), and this Classic 560 represents the lowest end of their range so that you can determine whether Blendtec’s specific brand features are things that interest you – and, if they are, you can identify which Blendtec model will be best for you here. 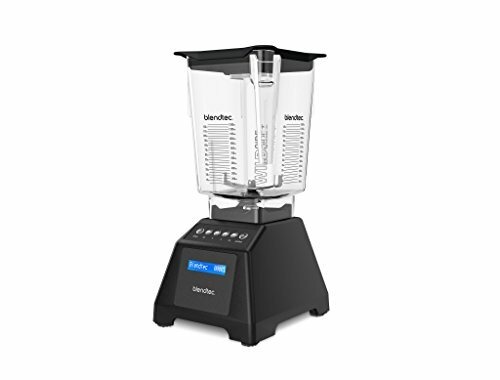 The Blendtec Classic 560 is affordable, but still has the brand’s great specs: 3-peak horsepower, which is the best in this list and will make creating nut butters easy; an eight-year warranty according to the manufacturer, also the best in this list; a beautiful and easy-to-use push-button interface, including four manual speed settings; and the patented Blendtec Wildside container, which is five-sided and designed to push food directly into the blades, preventing air gaps and blockages and negating the need for a tamper – very useful when making nut butters. From personal experience though, a tamper does make the process go a bit more smoothly, but it is not a deal breaker because this unit is great in so many other ways. You may just have to move some things around between blending cycles, but the end result will still be the same. The Ninja brand is becoming fast-known in the blending industry as a great, affordable alternative to Blendtec and Vitamix. Their creations are powerful, cheap, and able to do all sorts of things – including make nut butters, in the case of the Ninja Mega Kitchen System. The Mega Kitchen System has three set speeds. It comes with a normal 72-oz blending container as well as a 64-oz processing bowl, the only model in the list to do so, which is an even better shape for blending nut butters and will undoubtedly make the process easier. This model, like many others in the Ninja range, requires the use of different accessories to perform different functions. This can be a hassle, depending on your outlook and your tolerance for plastic accessories in your kitchen, but could also be considered a fair exchange for usually being the cheapest blender. It also only has a one-year warranty which may vary by retailer (see manufacturer ﻿﻿websi﻿t﻿﻿e for full warranty details), which is concerning if you are planning on putting your blender through heavy strain by creating nut butters regularly. Ninja also makes smaller prep machines, best for chopping nuts and other spices rather than pulverizing them. Accessories are better for different functions such as chopping. All of the blenders in this list are great at creating nut butters, but there is undoubtedly one that is the best: the Vitamix 750. While the other machines on this list do an excellent job, the Vitamix has the design, the power, the tamper, and the warranty. The resulting spread is smooth and lump-free in a short amount of time that you can make for years to come. If money isn’t an issue, this is definitely the model for you. However, if a Vitamix turns out to be too much, please consider the Hamilton Beach Professional Quiet Shield Blender. This model is a lower tier than the 750 and gives excellent results with a number of great built-in settings that set it above the competition. If you’re looking to make nut butters easily, but without breaking the bank, the Hamilton Beach is ideal for you. Thank you for the good reviews! I was wondering if you may have a suggestion for making smaller quantities of nut butters. I borrowed a Vitamix with the tamper and tried to make nut butter and the blade seemed to set up too high to work for smaller quantities. The butter seemed to settle below the blades and the rest splattered along the sides and the blades would simply spin. The tamper wouldn’t reach the seeds while processing. If you have a recommendation for an appliance that works for smaller quantities I would greatly appreciate your suggestions! Also, would a smaller food processor be a good option? One quick note is that *soaking* the nuts for 30 minutes to 1 hour+ is going to be crucial. The nuts will be super soft then and will blend into a smooth nut butter. Keep in mind it won’t be EXACTLY the same as pushing the hard nuts into the tamper, but should be awesome nonetheless.